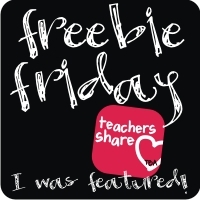 Fern's Freebie Friday ~ The 3AM Teacher's Free Polka-Dot Swirly Frames! - Fern Smith's Classroom Ideas! Fern's Freebie Friday ~ The 3AM Teacher's Free Polka-Dot Swirly Frames! The 3AM Teacher's Free Polka-Dot Swirly Frames! Which also includes white background for layering! I love everything Michelle at The 3AM Teacher makes! To get her newest Polka-Dot Swirly Frames, visit her blog post here! She also has one of my favorite recipes ever featured there! Hi Fern! I have followed your blog for a while and love your products. I just started my blog and would be honored if you would be the first to follow me! Thank you so much, I just left you a message on your blog.